How is an Objective Medical/Psychiatric Opinion Formed? A medical expert is a physician who has the requisite clinical experience and academic achievement to form an objective medical opinion to a reasonable degree of medical certainty. A forensic psychiatrist is a physician who integrates clinical experience, knowledge of medicine, mental health, and the neurosciences to form an independent, objective opinion. Relevant data are gathered and analyzed as part of a process of alternative hypothesis testing to formulate an expert medical/psychiatric opinion. This expert opinion can be effectively communicated by written report, deposition, or courtroom testimony. The applications of forensic psychiatry are widespread in settings ranging from health care and the workplace to criminal justice and public safety questions. Common areas of expertise are briefly described below. For more details, see the left column listing of specific areas of interest, or confidentially call or e-mail our office directly. Dr. Bursztajn continues to have an active clinical practice and consults as a forensic psychiatric expert and teaches nationally both as an individual and as a distinguished multispecialty team. He has had a long standing special interest in medical and psychiatric diagnosis. His publications analyzing clinical and forensic neuropsychiatric diagnosis and misdiagnosis range from the highly acclaimed book Medical Choices, Medical Chances through numerous peer reviewed publications to chapters in current standard textbooks of medicine, forensic psychiatry and mental health. Review and analysis, consultation, neuropsychiatric examinations (both on-site and remote) and expert opinion formulation in medical and mental health malpractice, informed consent, product liability, risk management and testamentary capacity cases are a longstanding area of special interest. Other areas of special interest include psychiatric diagnosis, suicide prevention, sexual boundary violation claim evaluations, boundary training, detection of malingering, pain impairment evaluations, custody, testamentary capacity, medication management standards, managed health care, psychiatric and forensic neuropsychiatric autopsies, diminished capacity, death penalty mitigation, and employment related issues such as ADA, disability, workers' compensation, and sexual harassment. Responses to initial telephone or e-mail inquiries regarding case merit and expert assistance are at no cost, as well as referrals to colleagues where a multispecialty expert team seems best. A forensic psychiatrist/medical expert can assist individuals and institutions, plaintiffs and defendants, attorneys, federal agencies, and the courts to evaluate claims ranging from medical and mental health malpractice to medical product liability, disability, sexual harassment and diminished capacity. Organizations can also benefit from an expert consultation evaluating the validity and response strategy to employment, supervisory responsibility, or maintenance of health care standards claims. Public safety and criminal justice professionals can also find forensic psychiatric expert consultation effective in areas ranging from analyzing and preventing threats to security to capacity to form specific criminal intent. Case: [Plaintiff] v. New York City Transit Authority, et al . Dr. Bursztajn’s testimony regarding a plaintiff’s malingering and misattribution debunks neuroimaging gimmickry in a post-concussive disorder claim. Case: [Plaintiff] v. United States of America . Dr. Burstajn's evaluation of a plaintiff claiming traumatic brain injury indicates a factitious disorder, also known as Munchausen syndrome. Case: Carvajal v. Mihalek, et al . Dr. Bursztajn's reference to an antisocial history in the course of his examination, opinion, and testimony was affirmed on appeal by a panel which included one of the better senior judge writers in the federal judiciary, Guido Calabrese, whose book, Tragic Choices deals with many of the issues of Dr. Bursztajn's book Medical Choices, Medical Chances in a legal context. Case: Silverstein v. U.S . Dr. Bursztajn's review of the plaintiff's, Thomas Silverstein, mental state through review of medical and case records and a forensic psychiatric interview of the plaintiff lead to his opinion: "...I do not find evidence of damage to Mr. Silverstein's mental health resulting from the conditions of confinement." This opinion led to the court's granting the Bureau of Prison's Motion for Summary Judgment dismissing the case as reported by the Denver Post. Case: State of New York v. Nixzaliz Santiago . (2008) Dr. Bursztajn was retained by the prosecution for examination of defendant. Articles on the verdict in the New York Times . Case: US v. Jane Doe . Mental Illness Creates Eligibility for a Lower Sentence. Dr. Bursztajn testifies in Federal Court that defendant suffered from diminished capacity and complex PTSD (vs. simple PTSD) which often presents itself in compulsive self-destructive behavior. (January 2004). Case: Vick v. Northrop Grumman . Dr. Bursztajn was retained by the defense for a neuropsychiatric autopsy of a suicide in the context of a workers compensation case. Case: Doe v. Roe Hospital . Dr. Bursztajn's expert evaluation helps to resolve a claim that clinical and institutional malpractice caused a patient's suicide. Case: deVries, et al. vs Secaucus Fire Department, et al. . A landmark civil rights verdict in a case alleging a town's politicians' failure to protect a gay couple who were harassed and eventually driven out of their home next to a fire station in Secaucus. Dr. Bursztajn served as the plaintiffs' attorneys' retained testifying expert regarding causation, the nature and extent of the emotional injuries and standards for reliability and validity for an forensic psychiatric Independent Medical Examination. A physician who is an expert in psychiatry, primary medical care, medical causation, and clinical ethics can analyze the informed consent process and primary medical care decision making and formulate an expert opinion applicable to specific questions, such as whether the standard of primary medical and mental health care for medical decision making and informed consent has been met by the treating physician, the staff, and the health care organization. Were appropriate professional relationships boundaries observed? Was an appropriate informed consent process implemented? Were appropriate steps taken to prevent a tragic outcome such as suicide or a medication-related death or injury? Was an appropriate referral made? Were appropriate steps taken subsequently to mitigate the consequences of a treatment-related death or injury? What is the extent of impairment, pain, suffering, changed prognosis, need for treatment, and loss of consortium that can be validly attributed or is being misattributed causally? Is a claimed impairment subject to the ADA mandate for accommodation? What is the appropriate organizational response to a sexual harassment claim? What is the validity and extent of sexual or racial harassment-related damage claims, such as emotional injury or Post-Traumatic Stress Disorder? Frequently asked questions range from evaluation of defendants for determining mitigating and treatable neuropsychiatric disorders to advising public safety and law enforcement officers. Dr. Bursztajn is frequently chosen as a peer reviewer by journals in medicine and psychiatry, ranging from the Journal of the American Medical Association to the American Journal of Psychiatry. Among his forensic psychiatric contributions you can read his review of the book "Are You There Alone?" The Unspeakable Crime of Andrea Yates , by Suzanne O’Malley. New York, Simon & Schuster, 2004. Product liability cases often raise issues of informed consent processes, assumption of risk, professional and organizational ethics, complex neuropsychiatric causation of claimed injuries, and the validity and reliability of expert methodology and opinion formulation. There can also be a question of distinguishing medical product liability from the physician's or patient's knowing assumption of risk. Here the level of informed consent available may be crucial. Dr. Bursztajn consults and teaches physicians, including psychiatrists, regarding the fundamentals of informed consent processes. "Informed Consent in Neuropsychosocialpharmacology," Psychiatric Times , 2005; 22(13):59-63. His longstanding interest in the ethical foundations of pharmaceutical and medical device research led to his serving on the National Committee for Quality Assurance (NCQA) under contract to the U.S. Department of Veterans Affairs (VA) in developing standards for the accreditation of programs for the protection of human subjects. These standards served as a basis for field testing and adoption nationally by the Institute of Medicine. In the wake of a series of U.S. Supreme Court decisions on standards for reliability of expert methodology, distinguished forensic psychiatric experts may be asked to evaluate and opine as to the reliability of forensic psychiatric methodology of previously retained experts. Dr. Bursztajn has been retained as an "expert on experts" based on his teaching and publications (see for example his recent article On Skepticism and Tolerance in Psychiatry and Forensic Psychiatry in the Psychiatric Times' Forensic Bonus Issue) in the area of evaluation of reliability of forensic methodology and his service on a variety of relevant national professional standards committees. These range from the American Academy of Psychiatry and Law Ethics Committee to the American Bar Association's Advisory and Expert Panel for the State Justice Institute (SJI) Benchbook Project on Psychiatric and Psychological Evidence. Dr. Bursztajn's classic article Avoiding Ipse Dixit Mislabeling: Post-Daubert Approaches to Expert Clinical Opinions informs us how experts can reduce the likelihood that their conclusions will be mislabeled. He continues to advise clinical experts across the spectrum of medical specialties, the bar, and the judiciary as to the fundamentals of clinical expertise post- Daubert / Joiner / Kumho evidentiary standards for the reliability of testimony of clinical experts. Also, see Dr. Bursztajn and colleagues explore the evolving role of the clinical expert post- Kumho in his article, Kumho for Clinicians in the Courtroom. Dr. Bursztajn has served as an expert relative to expert methodoogy in Daubert and Frye hearings and has also cautioned against attorneys' abuse of such hearings. Attorney requests for such hearings need not be automatically granted by judges, as exemplified by the following case in which the court denied an attorney's motion for a hearing on Dr. Bursztajn's own methodology: Panchenkova v. Chigirinsky Order Regarding Motion to Preclude Expert Testimony Denied. 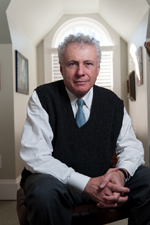 Harold J. Bursztajn, MD -[Curriculum Vitae]- has over thirty years of service as a distinguished patient care-focused clinician and as senior clinical faculty at Harvard Medical School. Among his many distinctions at Harvard Medical School is being recognized as a practicing "doctor's doctor" by being named Principal Mentor at Harvard Medical School and being awarded the A. Clifford Barger Excellence in Mentoring Award as well as being the first physician/forensic psychiatrist in Harvard Medical School's history to be appointed as the representative of the Harvard Medical School Alumni Board of Directors to the Harvard University Alumni Board. He continues to be active in patient care, forensic consultation, and medical and judicial education. His continued contributions to medical education have been most recently recognized nationally with his being named a 2015 Flexner Dean’s Lecturer at Vanderbilt Medical School. He is co-Founder of the Program in Psychiatry and the Law at the Beth Israel Deaconess Medical Center Department of Psychiatry of Harvard Medical School and Associate Clinical Professor of Psychiatry at Harvard Medical School. Author of the highly acclaimed book, Medical Choices, Medical Chances this classic has been reviewed favorably in leading medical journals ranging from the New England Journal of Medicine and the Journal of the American Medical Association to the American Journal of Psychiatry . Among his other leading contributions to medical and mental health education are three books Divided Staffs, Divided Selves, a Case Approach to Mental Health Ethics , Decision Making in Psychiatry and the Law and Psychiatric Ethics and the Rights of Persons with Mental Disabilities in Institutions and the Community, as well as numerous articles in medicine, psychiatry, forensic neuropsychiatry and clinical ethics. Dr. Bursztajn consults clinically and forensically, provides second opinions in patient care, teaches medical students and conducts continuing medical education courses for professionals; and advises institutions, the courts, and public health-oriented media on forensic psychiatry and clinical ethics-related issues. He serves as a peer reviewer expert for leading medical and psychiatric journals, non-profit medical and ethics review organizations, health care and human services corporations and the judiciary. His numerous awards and honors in the course of thirty years of service as a Harvard Medical School clinical faculty member range from the Solomon Faculty Research Prize to his being named as one of only fifty Principal Clinical Mentors for Harvard Medical School entering class. In addition to his thirty year commitment to patient care, Dr. Bursztajn consults nationally and internationally to individuals and institutions, plaintiff and defense attorneys, and the courts as a distinguished forensic psychiatric expert. Among his areas of expertise are treating vulnerable patients, improving medical and mental health decision making, informed consent and malpractice and product liability risk reduction, and standards for the forensic evaluation of employment-related claims, diminished capacity, forensic neuropsychiatric autopsies, violence prevention, the interface between medicine and psychiatry, and pain and suffering and the dying process. Dr. Bursztajn is active in public education and promoting intergenerational learning and inquiry. Contributions to public education include his work as a guest analyst on news programs including NPR's Talk of the Nation; CNN Headline News; ABC News on such diverse topics as end of life criminal confessions, mental vulnerability of terrorist recruits, and Randy Quaid's financial problems; Boston's WCVB News Show Chronicle and public education programs such as those presented by ABC's Discovery Channel including "Who Killed Julius Caesar?, " "Who Killed Tutankhamun?," "Who Killed Alexander the Great?," "The Mysterious Death of Cleopatra," and "Columbus: Secrets From The Grave." His work in public education with teams of experts from a variety of scientific and humanities backgrounds has been recognized both academically in Harvard Magazine and publicly in The Sunday London Times . Dr. Bursztajn teaches and consults nationally to psychiatrists and other mental health professionals, as well as to physicians across the primary and specialty medical care spectrum. He continues to publish and present workshops nationally and internationally on a variety of special interest topics in medicine and in general and forensic neuropsychiatry. There are a variety of areas of human suffering which, insofar as they evoke painful or frightening feelings, can become all too sadly unspeakable. Among Dr. Bursztajn's special interests are the long-term consequences of massive psychic trauma. Over the years he has explored this topic in workshops for health care providers both nationally and internationally. He also continues to consult and teach to a variety of health-care professionals, ranging from members of hospice ethics committees to surgical grand rounds (written up here in the Boston Globe) attendees regarding the foundations of current clinical and organizational ethics standards for patient care. Dr. Bursztajn's motivation for becoming a doctor and for continuing to practice clinically and to teach nationally can be found in the following article: "The Shoah and its Aftermath," which presents the testimony of Dr. Bursztajn father, a Holocaust survivor. about how we can be of expert help.